I thank you for your letter of 25th instant and I have noted the contents carefully. I have complete agreement with for the arrangement that you desire to make in connection with the Exhibition at Montreal. Yes we shall go in a batch for performing the Kirtana ceremony both in the exhibition pandal as well as in the University Hall and you can arrange in that way. 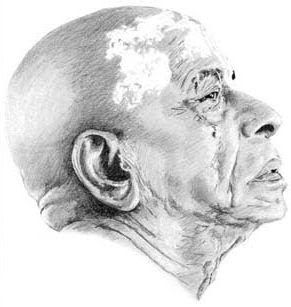 Here things are improving and people in New York taking in importance the Kirtana movement. The enclosed papers and newspaper cutting will give you an idea. We have already published some new literatures namely Krishna Reservoir of All Pleasure, Who is Crazy? Introduction to Bhagavad-gita, Back to Godhead, etc and our Society is coming in prominence daily. We are just trying to purchase a property in New York at $90000.00 and the students are taking the responsibility. Thus I think there is good prospect for this Society being a World organization and you must try to have a centre at Montreal as soon as possible. Under separate post parcel I am sending you all the above newly published literatures and I shall request you to enlist as many subscribers for Back to Godhead Magazine because we have to submit at least 200 subscribers names to the postal authorities for getting the concessional rates. I am glad to learn that you are chanting regularly and I hope you are gradually getting some enlightenment in Krsna Consciousness. Our path is genuine sublime and easy. So there must be an world wide organization for pushing the movement in the Human society so much afflicted by material advancement only. This is only medium to save the people from ruination. As my representative you can see Mr. Luthra and arrange things as you think best. Whatever arrangement you will make on behalf of the Society will be accepted by us. I understand that you have done some French rendition of my writings including the essay which you have taken with you. I have now about 150 sets of Bhagavatam with me. Please let me know if you have already sold the sets that you have taken from here. Hope you are well with my good wishes for you and your wife.